This driving Americana release smoothly blends rock and blues with old country rock. If Steve Earle and The Byrds came together, this would be the record they'd make. Strong songs with stellar instrumentation and guest artists. 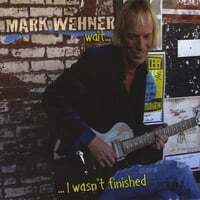 Acclaimed singer/songwriter Mark Wehner roars back with with his first album in five years. “Wait … I Wasn’t Finished,” ably showcases his talents as both a writer and a performer. “Mark Wehner might be a star ... a serious player in the Americana movement, singing his heartfelt, ballsy originals.” - Nashville Scene.